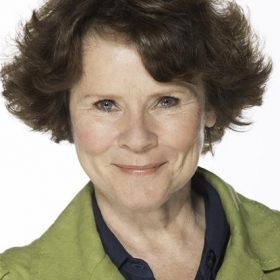 How much do you like Imelda Staunton? Show it! 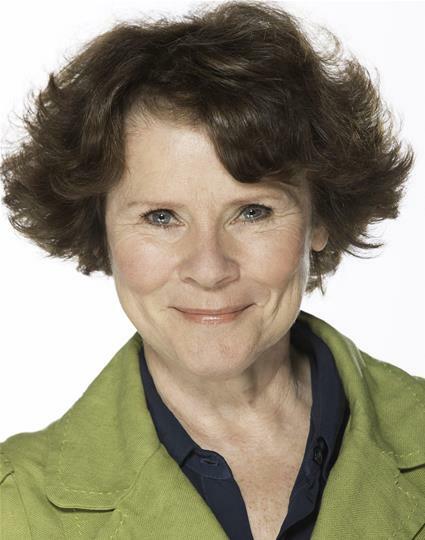 Imelda Staunton is an English stage and screen actor. She was nominated for a 2016 Olivier Award for Best Actress in a Musical for Gypsy. 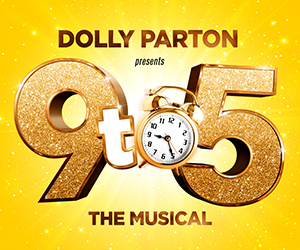 Theatre credits include: Sally Durant Plummer in Follies (NT), Mama Rose in Gypsy (Chichester Festival and West End), Mrs Lovett in Sweeney Todd (Festival Theatre and West End. Olivier Award for Best Actress in a Musical), Margie in Good People (Hampstead Theatre and West End), Marty in Circle Mirror Transformation (Royal Court Theatre), Claire in A Delicate Balance and Margaret in There Came a Gypsy Riding (Almeida Theatre), Kath in Entertaining Mr Sloane (Trafalgar Studios), Nora in Calico (Sonia Friedman Productions), Ines in Life x 3, Lucy Lockit in The Beggar’s Opera, Adelaide in Guys and Dolls and Hannah in A Chorus of Disapproval (all National Theatre. Olivier Award for Best Supporting Actress), Dorothy in The Wizard of Oz (RSC), Sonya in Uncle Vanya (Vaudeville). Television includes: the upcoming That Day We Sang, The Girl (BAFTA and Emmy nominations for Best Actress), Psychoville, Cranford Chronicles, Fingersmith, Strange, My Family And Other Animals, Cambridge Spies, David Copperfield, Is It Legal, The Singing Detective, Up the Garden Path, Frank Stubbs and A Bit of Fry and Laurie. Films include: Pride, Maleficent, The Awakening, Another Year, Taking Woodstock, Harry Potter and the Order of the Phoenix, Freedom Writers, Vera Drake. Awards include: Best Actress Awards from BAFTA, The Evening Standard Awards, Venice Film Festival and British Independent Films Awards, Academy Awards and Golden Globe Awards Best Actress nominations. Last week, it was announced that Imelda Staunton is nominated for TWO Olivier Awards this year - for best actress in a musical AND play. We decided to celebrate by choosing a #StageFavesSongOfTheWeek from "Gypsy", for which her performance as mama Rose won her an Olivier in 2016. Hamilton nabs record-breaking 13 Olivier Awards nominations. Who else has got a shot? Very rarely does a show come along that receives unanimous praise and adulation, after all, appealing to the wide ranging tastes of both audience and critics is a tough ask. The National Theatre's production of FOLLIES however, is one of those shows! 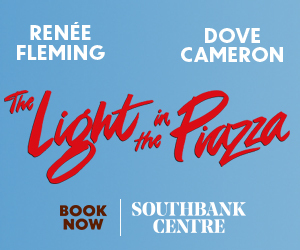 It's been ages since we've seen such glowing reviews pouring in from far and wide and it's great to see the Sondheim classic 1971 musical still feels as fresh as ever! You can't be a true musical theatre lover without a bit of Sondheim, and we reckon FOLLIES is the perfect way to clock in a few hours of one of the greatest American composers...We've rounded up the best reviews and features so you can get your FOLLIES fix all in one place!